There are many types of security product available to help you to beef up security at your doors, but which ones are right for you will depend on the type of door you are looking to protect. 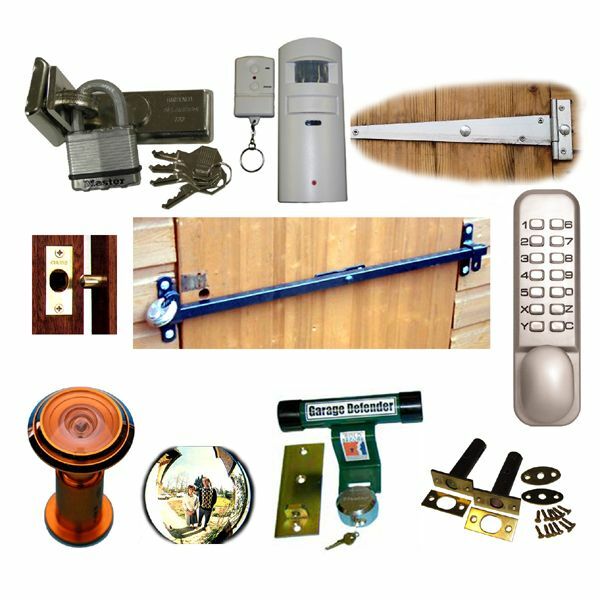 When considering protection for your front door (or the main door into your home), things to consider include - the lock(s) installed on the door, additional security bolts, hinge bolts, door viewer, security chain or door opening restraint. Other things you may also want to consider are - an alarm, an intercom, a visitor annunciator, CCTV camera or a security light. 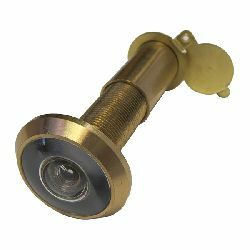 The alarm for this type of door will probably link to your main home alarm system and could be triggered by a contact switch on the door or a PIR detector located close to the door. Many wooden doors are fitted with more than one type of lock, often a nightlatch type, plus a mortice lock. For insurance purposes the mortice lock on main entry wooden doors should at least conform to the minimum standard - 5 lever deadlock / BS3612. 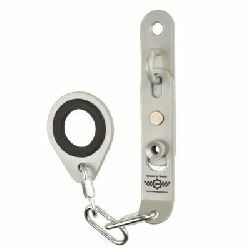 While locks for plastic doors should incorporate a multi-point locking mechanism. 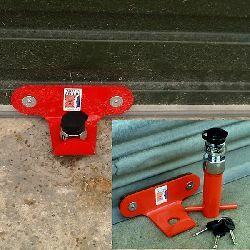 You may also want to consider fitting an anti-arson mailbox or anti arson mail-collector bag on the inside of your door, or fitting a letterbox cowl internally to prevent fishing attempts for your car keys, etc. through your letterbox. 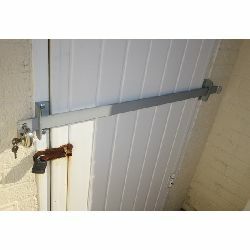 Swing open double doors should be secured with robust bolts locating into the ground and lintel above the door on one door, the other door then locks to the bolted door via a built in lock, hasp and padlock, or shed bar type locking device, etc. Where not electrically operated, up and over type garage doors will almost certainly be supplied with manufacturer installed side shoot bolts. 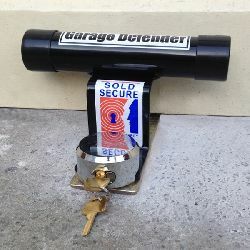 For extra security an easy to fit and simple to use door blocker, such as our Garage Defender product can be installed. Most modern Roller Shutter type garage doors are electronically operated, but security can be significantly be improved by installing a physical lock such as the Roller Shutter Lock. A robust brick built outhouse may benefit from the installation of a similar type of mortice lock as used on your front door, however wooden sheds and outhouses may require a different approach. 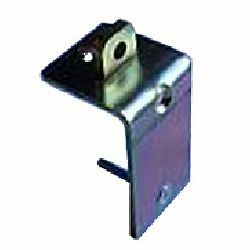 Robust hinges fixed to the door and building structure with a mixture of screws and bolts (such as coach bolts) is strongly recommended, while the use of a high quality hasp and padlock or shed locking bar will help to keep unwelcome visitors out. Fitting a stand-alone shed alarm will surprise and draw attention to anyone breaking in and of course a sensor activated security light will also help. ...remember, you may also need to consider internally fitted window security bars to prevent anyone breaking in through the window!